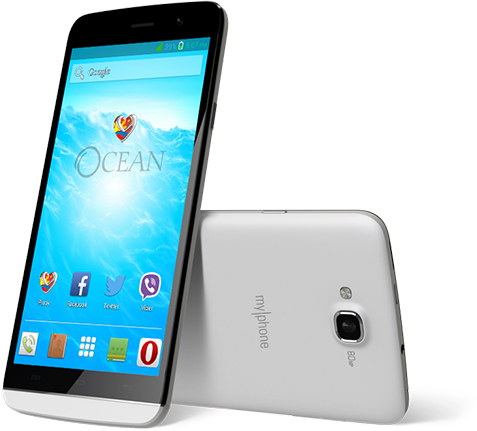 MyPhone recently released two new smartphones, one of this device is the Agua Ocean Pro. Features a dual-SIM Android phablet that packs a 5.5-inch qHD IPS capacitive touchscreen dispaly, quad-core CPU, runs on an Android 4.2 Jelly Bean , and a sub-Php7K price tag. The Ocean Pro has a 1.3 GHz Quad Core ARM Cortex A7 CPU and 416 MHz Mali-400 MP2 GPU based MediaTek MT6582M system on chip. It also has 1 GB of RAM and 4 GB of internal memory that can be expand up to 32 GB via microSD card slot. Cherry Mobile Omega Icon Anounced!